Welcome to the online home of our Honda parts and service department here at Honda dealership serving Olympia, Hoquiam, Aberdeen, and all surrounding areas. This section is designed to make it easier for you to have your new Honda or used Honda serviced or to purchase genuine Honda parts and accessories. No matter if you have a new 2017 Honda Fit, or a pre-owned Honda our dealership has the parts to get your Honda car back on the road. Click the links above to schedule a Honda service appointment or request a Honda part and a representative from our Grays Harbor, WA Honda dealer will contact you promptly. Thank you for visiting Honda of Grays Harbor online. The members of our dedicated Honda Service Team are fast, efficient and friendly. They understand you're in a hurry, and they know the time you spend waiting for your Honda to be serviced is time wasted in your busy life. Our technicians work smart, work fast and work hard to see that your Honda is repaired right, the first time, on time, every time. Our state-of-the-art facility features the most current diagnostic and repair equipment available and our highly skilled factory-trained technicians at our Honda dealer in Aberdeen, WA deliver the most efficient quality Honda care available anywhere. We utilize state-of-the-art technologies and equipment to make certain your vehicle is serviced correctly. And we use only genuine Honda parts for all Honda vehicles and parts specified by the original equipment manufacturer on all other vehicles to provide the highest quality performance. Manufacturer recommended Honda parts are an important part of maintaining your vehicle's optimum performance. We offer the same high quality Honda parts your vehicle was built with, and we keep a large inventory of these certified parts in stock. Our friendly and knowledgeable parts staff is willing to help you find just the right part. Whether you're a retail or wholesale customer, our Honda parts department can assist you with any genuine manufacturer parts you need. Contact Honda of Grays Harbor today and let our certified parts experts help you with your automotive needs. Because we know your personal Honda like the Honda Fit, Honda Accord, or any other Honda model is an expression of yourself and a reflection of your personality, we also offer a complete line of authorized accessories with which to customize your Honda. Honda Genuine Parts and Accessories are engineered and manufactured to ensure a perfect fit and optimal performance for your vehicle. Along with using Honda Genuine Service, it's the best way to protect your investment for the long run. You want the repair and maintenance parts used on your Honda to be high quality and competitively priced. 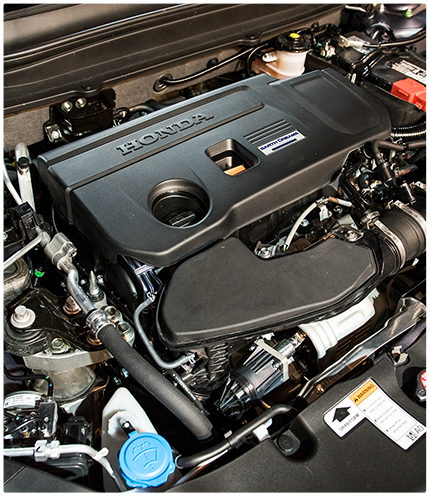 Honda offers a large selection of affordable maintenance parts designed to meet the cost and quality you need to keep your vehicle running in tip-top shape. Honda has an extensive range of accessories to suit your lifestyle. If you like it bright, light it up with LED lighting. Keep your belongings secure with cargo options. If you're into technology, stay up-to-date and safe with integrated hands-free Bluetooth™ and rear-view camera. Unlike aftermarket accessories, if your accessory is installed by a Honda dealer like us here at Honda of Grays Harbor, they're covered by the balance of your Honda new vehicle limited warranty of 3 years/36,000 miles or for 12 months/12,000 miles, whichever is longer. We always recommend buying your tires from the experts at here at our Honda dealer serving Hoquiam, Montesano, Cosmopolis, Ocean Shores, Westport, Pacific Beach, Seabrook, Centralia, Chehalis, Oakville, McLeary, Raymond and Brady. This ensures that your new tires are the best fit for your Honda, providing optimal performance and comfort.